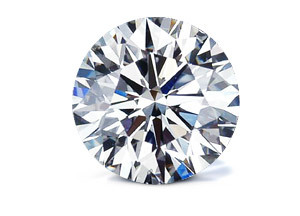 This is a 0.30 carat Round shape, K color, SI1 clarity diamond accompanied by a GIA grading report. K-M: Light but noticeable yellow or brown tint. May "face up" colorless when mounted, especially when mounted in yellow gold.